Organic hair cream with vitamin B5 & hemp seed oil for hair growth and damage repair. Non greasy, non waxy. Specially formulated hair cream for men, using all organic ingredients. 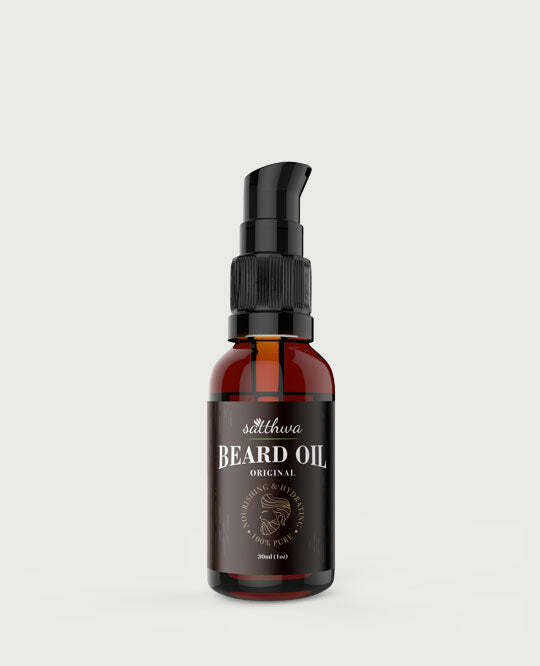 Infused with the goodness of Vitamin B5 and Hemp seed oil. It is non greasy, non waxy and has pure essential oils for mild citrusy fragrance. It promotes hair growth and prevents hair breakage. Promotes healthy hair & healthy scalp. Help oil stimulates hair growth. Moisturises the skin & prevents dryness. Promotes hair growth. Contains high contents of Vitamin A, Zinc, Vitamin E, B Vitamins and Silica. Made from all natural ingredients, you only need to take a very small amount per application. Take some in your hand and then rub it to spread evenly in your palms, then apply on your hair. Our hair cream has a slight hold to it so you can style your hair easily. Endorsed by Top Beauty Bloggers! Satthwa means 'pure' in Sanskrit. Started back in 2016, we have now shipped over 40,000 orders. We pride in making products which bring a positive change in our customers lives! Be the first to learn about our latest products & discount offers! Use code: NEW10 on checkout to get 10% off on your first order!